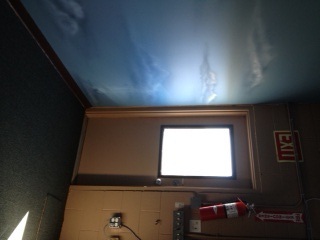 Here is a picture of the new window in the Garden Room! It looks great and makes such a different to the feel of the room. We are also getting windows in the flex room so that we can see out into the yard and in the gym door. Did you know that natural light can affect how well you learn? Some studies suggest that natural light can impact your ability to learn by up to 20%. The main theories for why this might be the case are that ”daylighting” enhances learning by boosting the eyesight, mood and/or health of students and their teachers.